Following the widely reported heroic actions of professional boxer Manny Muhammad, who rescued a Reverend who was trapped under a car following a collision in the United Kingdom, it was announced today that Manny is set to receive an award from the Malta Boxing Commission. Manny, who is licensed by the Malta Boxing Commission, had been making his way to work along Castle Street, in Luton, England, earlier this month, when he heard the crash, between Reverend Mike Jones, who was riding his bicycle, and a car. Manny and another bystander ran to the aid of the stricken Reverend, who was trapped, along with his bicycle, underneath the car, both men managed to lift the car off Reverend Jones as another bystander pulled the stricken Reverend clear. Following the incident a spokeswoman for the East of England Ambulance Service praised Manny and taxi driver Zulfiqar Afsar, as their prompt actions prevented further injury and burns from the exhaust for Reverend Jones. On hearing of the incident and Manny’s heroic actions MBC Vice President Gianluca Di Caro contacted Permanent General Secretary Marc James suggesting that an award for Manny be made at the upcoming Malta Boxing Commission 2014 National Boxing Awards, which take place at the Dolmen Hotel in Bugibba this coming Friday, the 30th May. Earlier today Mr. James issued the following statement. 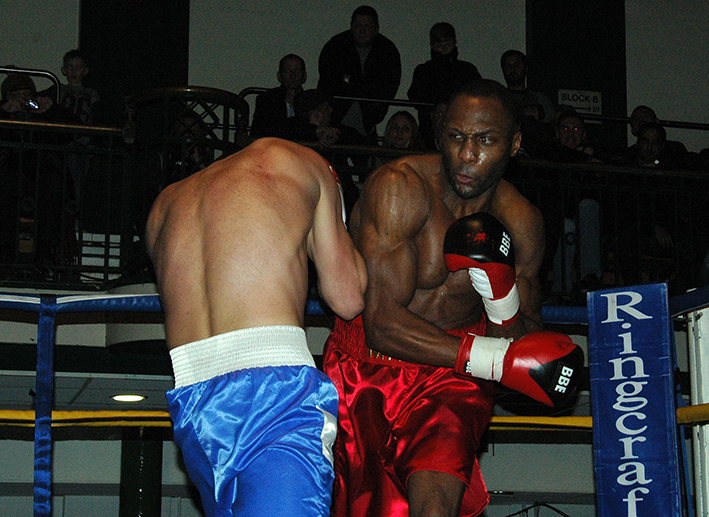 "For his Meritorious Service to the public, it is with great pleasure that I can say that the Malta Boxing Commission will honour Mr. Manny Muhammed with the Order of Merit Award, at the National Boxing Awards 2014, that take place this Friday at the Dolmen Hotel, Bugibba, Malta, for his exemplary selfless act of courage. I have directed that notification of the award of this Order of Merit is also made on Mr. Muhammad’s record." The Malta Boxing Commission National Boxing Awards were established in 2013. It is the most prestigious event on the National boxing calendar. Its purpose is to award members whom embody the Malta Boxing Commission’s five core values. These values go well beyond the boxing playing field and help guide the individual in making good daily decisions and choices in all aspects of his or her life. Integrity – Positive internal traits that guide behaviour. Respect – Treating others the way you want to be treated. Responsibility – The social fore that binds the individual to the good of the team. Sportsmanship – Following the rules, spirit and etiquette of athletic competition. Leadership – Serving the greater good while focusing on the team’s mission and purpose.